The term "hard sci-fi" doesn't indicate difficulty of the material to understand, but rather how closely a work attempts to consider and abide by realism and laws of physics in the science fiction. Besides Kerbal Space Programs and the realistic space warfare simulator Children of a Dead Earth, space games that attempt hard sci-fi mechanics are incredibly rare. 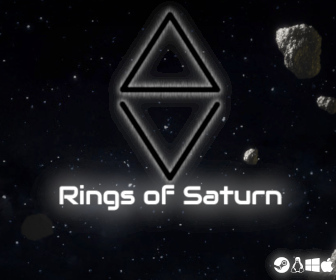 But the in-development Delta V: Rings Of Saturn looks to be the next game in that category, placing you at the thruster controls of a mining vessel within the titular rings. One person independent software house found in 2016 in Będzin, Poland. Now taking professional experience into making some games for both fun and profit.